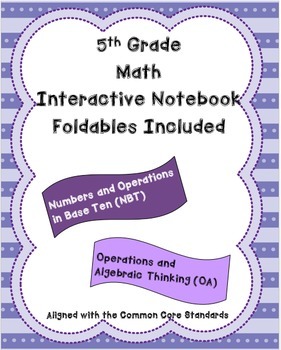 This product will help students understand the concepts for 5th Grade Numbers and Operations in Base Ten and Operations and Algebraic Thinking according to the Common Core Standards. Each standard is printed out and includes an "I Can" statement. 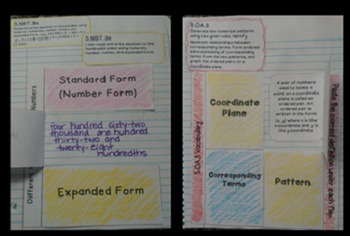 In addition, each skill or concept has information or reference sheets that provides hints, tips, definitions, examples, foldables, practice, and/or illustrations. 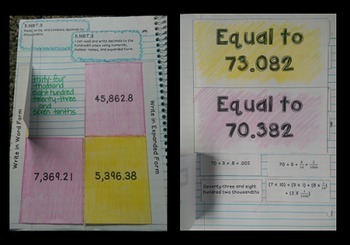 I also included a picture of each sheet so you can use it as an example. 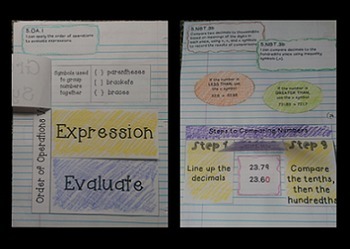 I have used Interactive Notebooks in my classroom for 7 years and have seen so much success with them.